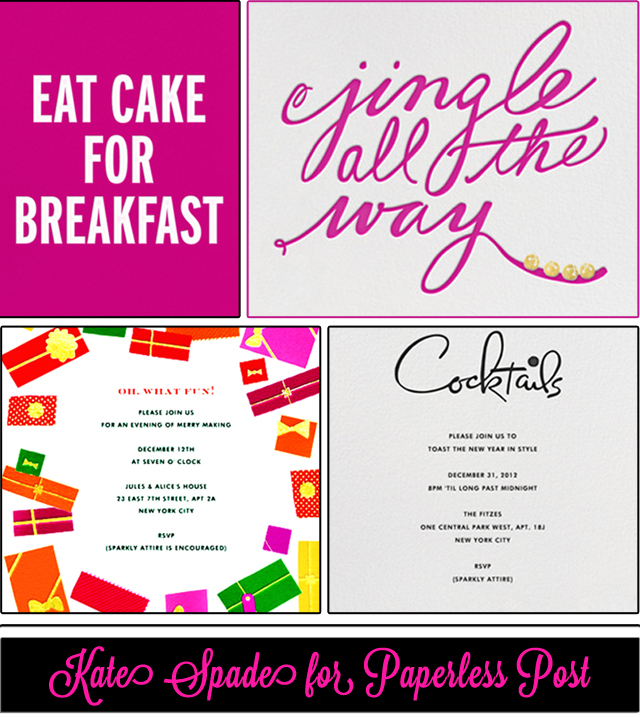 I was more than excited yesterday to get an email about the new collaboration of Kate Spade with Paperless Post. Does it get any more fabulous than these two joining forces to create a fabulous collection of online invites, thank you notes, and cards. While I'm the first one to say you should never forgo traditional snail mail in favor of online correspondence, I'm well aware that some occasions just call for a electronic invitation, and in those situations, I've turned to Paperless Post. Now, with the 70+ new Kate Spade cards, invites, and thank-you's this collaboration offers a witty, incredibly stylish, and all out fabulous way to express yourself whether via a simple thank-you or to your entire invite list for that big birthday bash you've been planning! You must check out the rest of the Kate Spade collection, and let me know what you think. Have ya'll used Paperless Post before? Would love to hear whether you prefer e-invitations or snail mail too! These are too cute! Such a great idea, I'm going to have to try Paperless Post! I know aren't these fabulous? 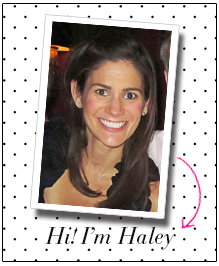 I love snail mail, but when I do send e-card Paperless Post is the site to use! They're amazing!